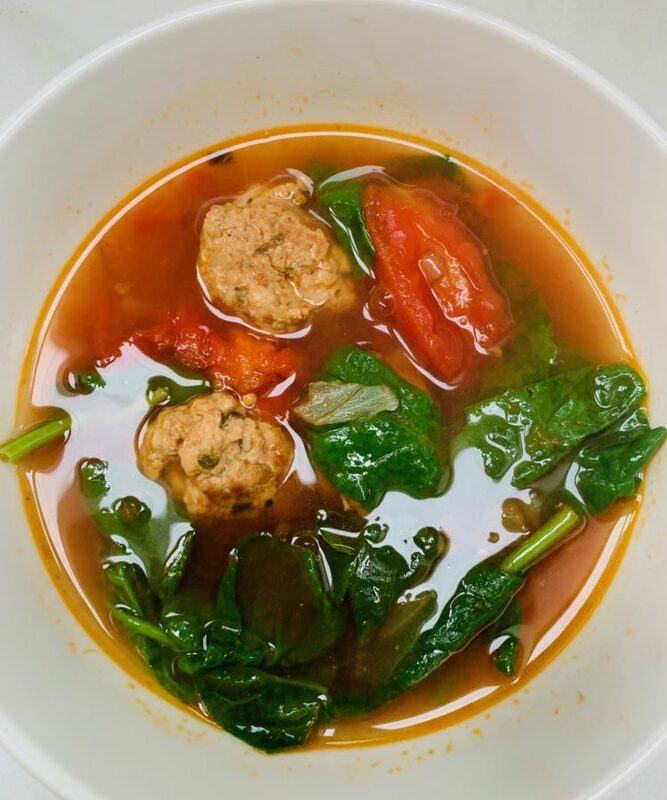 This is a rich tomato-y, lemony- meatball and spinach soup. Perfect comfort food on a chilly night. This soup takes about an hour to come together on a weeknight but tastes like it’s been simmering all day. I always use store bought chicken broth in this soup because I usually just throw it together really quickly. If you want to go ahead and make your own stock go ahead! Even better! 2-3 quarts chicken stock deposing on how broth you want it. I like it broth. 1 12 oz can whole peeled tomatoes with theirs juices. No added herbs. 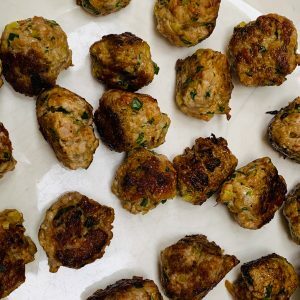 Mix all meatball ingredients together in a large bowl and make 24-26 slightly smaller than golf ball sized meatballs. Brown these in some olive oil until pretty brown on all sides.